Market News: Why Hawaii can expect an infusion of capital from the Asia-Pacific market — Jack Tyrrell & Company Jack Tyrrell specializes in Kakaako, Honolulu, Hawaii luxury condo projects. Hawaii is expecting an infusion of global capital from the Asia-Pacific market, and there are several reasons why this phenomenon will happen, according to Steve Williams, executive managing director of Real Capital Analytics. Williams, who was the keynote speaker at last week’s Asia-Pacific Real Estate Congress in Honolulu, reasoned that in China, an increasingly prosperous middle-class has gradually built a reserve of 30-year savings. He also noted that the recovery of the North American economy and the strengthening of its currency in the United States and Canada, has helped increase the interest in investments in these areas, including Hawaii. “Asian investors see the U.S. as a strong and stable market to invest in,” Williams said, noting that in Hawaii, there’s been a nearly 30 percent increase in more cross-border capital being deployed this year compared to last year. Additionally, he pointed out that transparency is key to markets experiencing that hope to experience an infusion of capital investments. “The markets with the most transparency, the most data available, are the most attractive to investors,” Williams said. In the first half of 2015, there were $400 billion in deals done in U.S., including $67 billion in capital coming via the Asia-Pacific region and $201 billion from the Americas, according to Real Capital Analytics data, which tabulated deals over $5 million in this category. 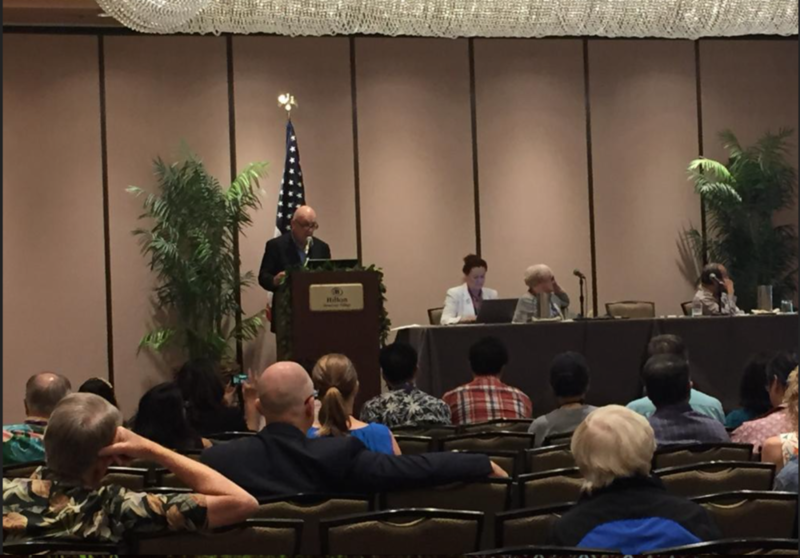 The conference, which was held in Waikiki from Sept. 10-12, examined the key issues for the real estate profession, including the need to focus on real estate development around active transportation hubs.